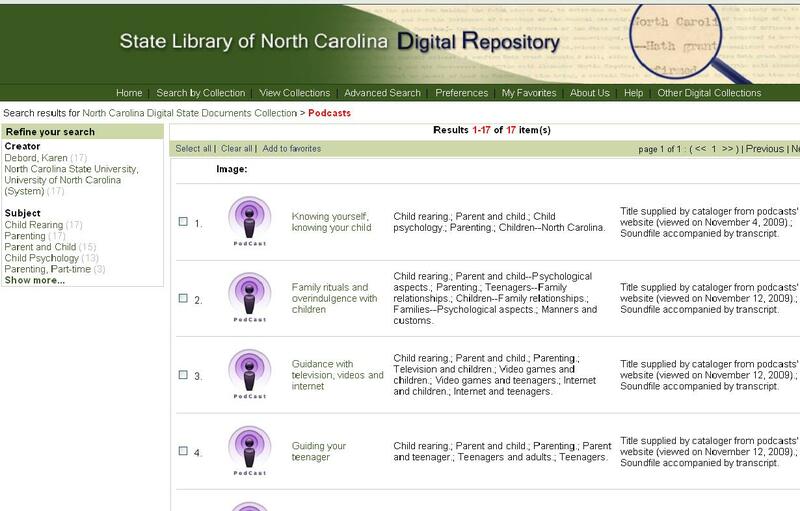 The North Carolina Digital State Documents collection has begun to collect and upload podcasts to the digital repository! There are currently 17 podcasts and the collection is growing every day! All 17 podcasts are from the North Carolina Cooperative Extension Services and are created by Karen DeBord. The topics of the videos range from child rearing, parenting skills, child psychology to special issues such as bullying, internet and children, and video games.